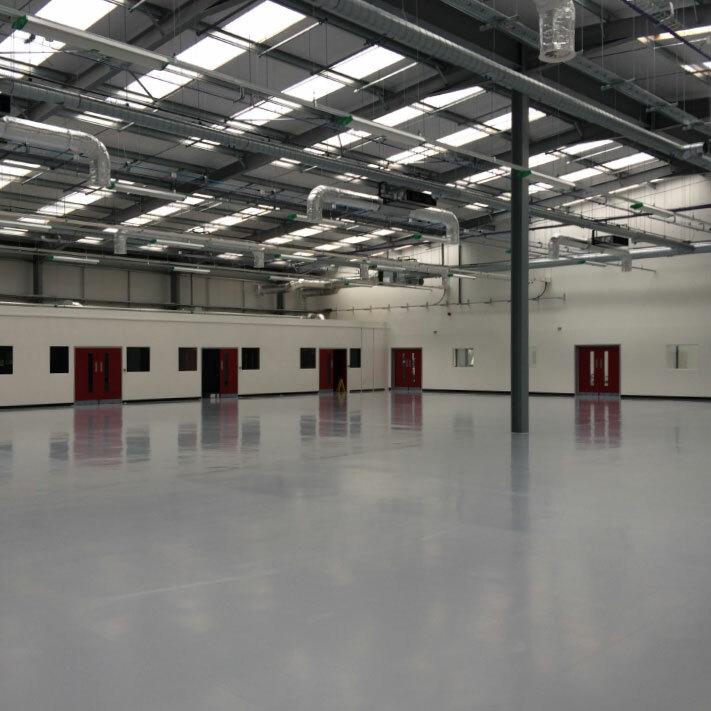 The design, build and subsequent fit out of a 3000M2 Warehouse Facility for Centurion Asset Management. This work was for a company whose business is High Tec Aircraft Engineering. They were firmly established in an adjacent building and needed far more space. This meant creating a new building on land by their existing premises. This was a perfect solution to meeting their space needs. The new build involved the Design and Installation of VFR Systems including Ventilation with extensive Electrical Installations. Once the building phase had been competed, we formed a Mezzanine Floor with Offices. On the ground floor we created a reception/waiting area, dispatch and goods inwards, test Areas, bake rooms, research & development units, female and male toilets and finally a canteen area with full kitchen facilities. This was a significant project delivered over 12 weeks.